This is going to be a long post, so please bear with me. Gratitude – that’s the word. A word that communicates a sense of indebtedness, appreciation, a lot of reverence and a feeling of thankfulness towards another person, an accomplice or with whom you are related to. A few days back I had a tiny dicussion with one of my close buddy on photography and its dynamics in India. Since photography is a generic term and refers to a universe of stereotypes, we concentrated on nature photography as both of us are nature photographers and we have been very closely associated within the community. One thing led to another and we ended up in a conversation of being thankful to all the people with whom we are closely related – with whom we interact very closely on day-to -day basis. I would like to thank those people and would like to write a few words about them ( as to what I feel about them ), people who have had some profound influence on me ever since I started my photography. These people are friends both in real as well as virtual world. Acknowledgements to someone who truely inspires you is what is lacking in us. I strongly feel it’s cultural and higly individualistic attitudes and ego clashes that prevents us from not being thankful to whom who inspires us constantly. I have seen people failing consistently to give credits from whom they have learnt something. Being indebted makes me get rid of the “I”ness, makes me feel happy and connected to all of them and hence this post. Anil Ranganatha – A friend since more than a decade, has an unique eye in photographing nature. He was the one who was the initial trigger for me in taking up nature photography. Though he is on and off photography since few months because of personal priorities, whenever he finds time, he doesn’t think twice in engaging himself in spending time with nature. One of his latest works on west coast of India is truly inspirational and worth looking at it many times. Ashwini Kumar Bhat – Nature photographer with some unique perspectives. A keen observer, an excellent birder hails from the region of Sirsi, Uttara Kannada district of Karnataka. This region is home of some endemic western ghats birds and life forms and one can imagine the influence of nature on him ever since his birth and his association with natural elements of the region. I always admire his unique and artistic compositional abilities and creations. Dhritiman Mukherjee – Here in India, we believe, If there is a unique natural history moment or a rare species that is yet to be photographed, we first look at one of the most adventurous professional nature photographers and that’s Dhritiman. His documentation of nature is unique, awe-inspiring and stunning to say the least. He is one photographer who is all the time travelling being at the right time in the right places. Always comes back with stunning images and raises the bar among the nature photographers in India. Ganesh H. Shankar – It would still be an understatement if I say he is one of the best nature photographers in India. With over a decade of experience in nature photography, his hardwork and photographic creations always stands distinctly ahead of time and space. His images are hauntingly beautiful, highly individual, creative and instantly revetting to all the viewers with unique signature written all over His creations. A true artist by heart and a ‘photo-scientist’ by mind who is fearless and bold in his experiments, succeeds in his attempts most of the time. Most importantly, he shares his knowledge! His images are brain-starters for the day for me, many times!! His work is acclaimed both in India and internationally. Every since we came in contact with each other, our friendship has grown in leaps and bounds. Every time I look at his work, there is always something to learn, something magical and awe-inspiring. Every image in his portfolio has a definite purpose and a definite reason for its existence. The most admirable quality in him is his commitment and ethics. Guy Tal – A true artist, master of initimate landscape photography. Though I have not had a very close association with Guy in the real world, His work has a profound influence on me. Thanks to technology and internet. This fantastic writer and a visual artist by profession is one of the best fine art nature photographers who hails from the USA. His ability to translate his emotions to pixels and words is astounding and highly admirable. His singular vision of intimate landscape photography and abstractness is a treasure of art. Every image that he has created glistens like rare gems! Jayanth Sharma – An excellent natural history photographer whose passion for nature photography is something to look out for. He has travelled across India, Africa and parts of S.E Asia photographing many endemic species. He has won many awards and recognitions across the photography domain in the country. 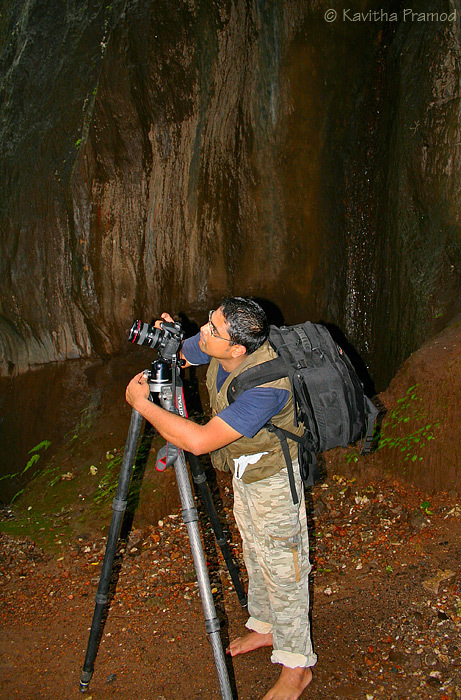 He is currently pursuing his passion for photography by working as full time professional. As very good friend of mine, we have travelled to many places together and its been quite an experience photographing next to Jayanth. Kalyan Varma – Naturalist, knowledgeable and an excellent natural history photographer who quit is high-paying software job for the love of nature and nature photography. Recently he has been collaborating with wildlife scientists and researchers in documenting the fragile ecosystems in India. His acumen in writing photo essays is commendable and his work is acclaimed across photographic community. A true conservationis and naturalist by heart. During my early days of photography, I was in constant touch with Kalyan, understanding the basics of camera. He had been very helpful in providing me some very good inputs on natural history and photography during my infancy in photography. Santosh Saligram – If it is passion for Tigers and Tiger phorography, Santosh’s name tops the list. 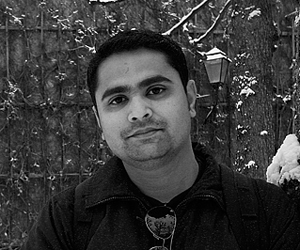 An excellent writer and his writing skills has acclaimed attention across the photographic community in India. He is someone who is constantly inspiring me through his stunning photographs and knowledge on the big cat. You can ask him to stay away from anything, not Tigers! His second home is Bandhavragh National Park, Madhya pradesh, India. I see him as One of the ambassadors for tiger consevation in India. Shivakumar L Narayan – One of my best friends with whom the association was accidental, now everlasting. A partner-in-crime, I must confess. ‘Photo-technically’ strong, inquisitive of new technologies in the world of photography is with whom I have been constantly photographing nature since last few years. His work is diverse and highly evocative. When I first came across with his work on travel photography, I was struck by his amazing creations that involved bold use of lines and stunning compositions of architecture and travel. His black and white work during his short stint of work in the UK is still afresh in my mind. Ever since he has come back to India for good, there is no looking back and has visited numerous national parks across india documenting life forms and creating and adding many artistic images to his collection. He has also been a close accomplice in various team work that includes – CNP and LW. Sriharsha Ganjam – If its astronomy, time lapse or astro-photography – Sriharsha’s name is synonymous in Indian photography community. The ability to translate his imaginations to an image is astrounding. Extremely passionate about nature and astro-photography. I have seen him wake up in the middle of the night and drive up to a local reservoir fearing nothing waiting for the right moment to photograph. His work on time lapse is inspirational and admirable. Thankfully, His association with landscape wizards has surely boosted our portfolio of landscape images of India. Sudhir Shivaram – Bangalore based wildlife photographer who specializes in bird photography was one of my initial gurus in nature photography. His unparalleled ability and passion for sharing photography and post-processing tips is something to look out for. I always admire his ability of reaching out to the young mass of budding nature photographers in India in sharing his technical and post-processing skills. His knowledge on birds and bird photography is exceptional. Vijay Mohan Raj – With Indian Forest Service, I must say he is a true nature soldier. Very affable person, always mentoring and guiding aspiring nature photographers, is another good friend of mine. He is a treasure house of knowledge on Natural History. His photography skills and creative eye is something not many can miss out for long. His “MaLe” and “Insects” images have had a lasting impact on me. Ofcourse, I am indebted to many more people whom I have come across in this short journey of mine including my family and other ever encouraging friends without whom I couldn’t have done this. It’s the contraint of time and space that I cannot write about all of them. Atleast, I am happy that I don’t fail to acknowledge few people who have profoundly influenced me in the world of art and photography. Nice blog SV. I liked the way you started with dictonary meaning. True that we rarely acknowledge people who have been influential to us. We need to cultivate that sense of gratitude.